Indian airline SpiceJet has joined the party by launching their mobile app, exclusively for Windows Phone devices. The app allows you to book tickets, check-in, or do a PNR lookup. You can quickly check out your recent searches or existing bookings. The app also offers a handy tap-to-call option to quickly dial their 24/7 Sales & Reservations number. 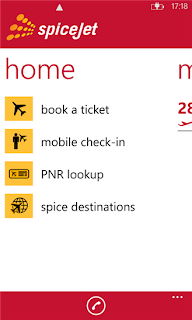 SpiceJet App is exclusive to Windows Phone Platform which also means that there is no app for Spicejet on Android or iOS platform. 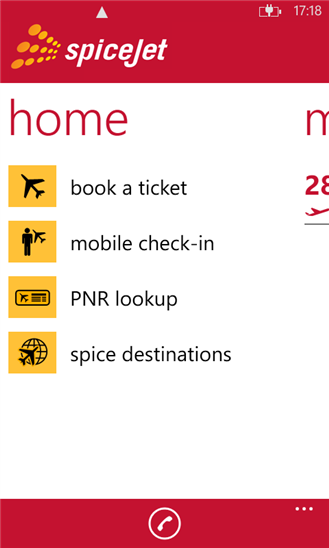 Download SpiceJet for Windows Phone 7.x and Windows Phone 8 devices from the Windows Phone Store .